The low number of black and Latino students in the city's elite high schools suggest a basic unfairness in relying on a single measure of educational potential, experts say. The news that only seven out of 895 freshmen slots at New York City's most prestigious public high school went to black students has sparked public outrage and raised more questions about the fairness of admissions standards for the city's selective high-quality schools. 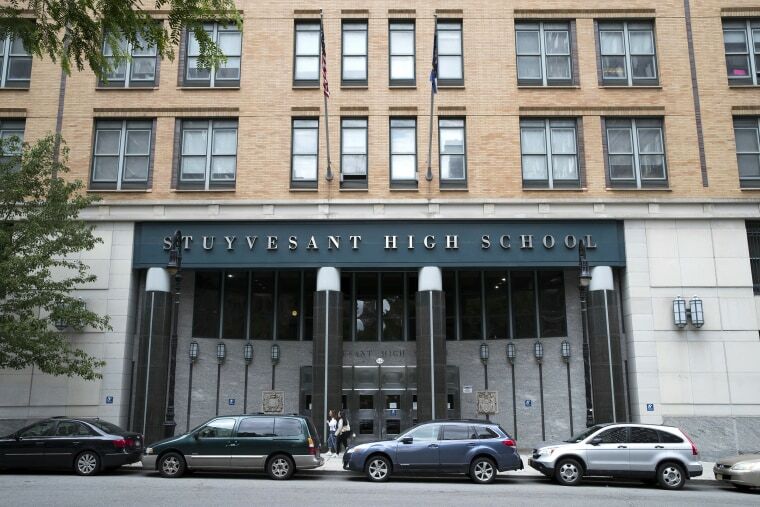 According to education policy experts and those who have navigated the city’s selective high school application process, the low numbers of black and Latino students accepted at Stuyvesant High School — which like a few other city high schools relies solely on a test score to get in — reveal a series of uncomfortable truths about the state of American equity. Boryga failed to gain entry at Bronx Science. Growing up in his mostly Puerto Rican neighborhood, he never met a single person who attended the school. And the pattern has continued. The city’s school system serves about 1.13 million students, about 66 percent of whom are black or Latino. Another 16 percent are Asian and 15 percent are white. But for some time now, the demographics of the city’s most selective high schools has not reflected the overall makeup of the school system. Beginning in the late 1960s, advocates of school integration were convinced that magnet schools — public schools with specialized and sometimes more challenging curriculum — could entice students from different parts of a single district into integrated schools, said Christine Rossell, a professor emerita of political science at Boston University. Rossell has studied school equity and integration for decades. She also helped to implement the Boston school busing plan that prompted white parents to riot and attack school buses. In 1968, she also helped to create the nation’s first magnet school in Washington state. By 2009, nearly 4,000 magnet schools existed in cities around the country. But few were ever truly integrated, Rossell said. Today, a small set of magnets with test-in requirements, such as Stuyvesant and Bronx Science, have managed to cultivate a reputation for exclusivity. That’s created intense competition to access these schools. Parents across the country have come to view access to them or expensive private schools as pivotal to entering top tier colleges and later, high-paying careers. That experience has left Rossell convinced that any effort to implement widespread improvement in public school quality, to integrate schools and spread the academic and social gains that come with that, will run headlong into public resistance. In other words, the fight to maintain an unequal situation will dwarf the push for equality. It’s not what Rossell thinks is right. It’s what she’s seen happen. At this point, cities can “nibble around the edges of inequality,” Rossell said. They can try harder to get more black and Latino kids to apply to elite schools. However, racial quotas or more dramatic reforms to elite high school admissions will simply produce what she calls “bright flight.” Bright flight is Rossell’s term for the widespread departure of the most motivated students and their parents from public schools. Those who can will instead opt for private schools. In addition, only about 20 percent of most students’ time is spent at school. Family life, the home environment, out-of school activities and opportunities a family can make available to a child are far more influential, she said. “What we see at Stuyvesant is much more a symptom than a cause of the terrible inequities we see in American schools,” said Jon Valant, a fellow at the Brookings Institution’s Brown Center on Education Policy, a think tank. Valant has spent his career researching education policy and the politics behind it. Passing test scores and student poverty levels have, since the advent of President George W. Bush’s No Child Left Behind policy, been deemed the most important indicators of school quality, Valant said. What those numbers actually reveal is how much kids already know, he said. That typically reflects the knowledge with which children arrived, something often influenced by wealth and access to those experiences outside the school. Multiple studies have found no difference in college enrollment, college quality or graduation rates of kids who just barely met the test score cutoff for selective public schools like Stuyvesant and those who just barely missed the mark and then attended more ordinary public high schools, Valant said. Valant would like to see selective schools drop their test-in requirements and instead award admission to a set number of top-performing students from every district or system middle school. The resulting classes would be more diverse and formed with an objective, open access measure of long-term performance. In New York, where Asian students dominate selective high school enrollment, proposals to change the admissions system have produced anxiety, anger and claims that the public officials behind the proposals are stoking conflict between minority groups. Mayor Bill De Blasio has started an affirmative action program. There’s even a lawsuit. Boryga took the selective high school test but missed the score cutoff. His assigned high school had a 50 percent graduation rate. A teacher suggested he instead apply to an area Catholic school, where he got a scholarship. Boryga, who is the son of a single mother who had not navigated the application process herself, also hoped a track scholarship would help him pay for college. Then the staff at a Princeton University summer program recognized his writing talent. They suggested he apply to Ivy League schools where endowments can provide big scholarships. He got into one: Cornell University.